India men and women's hockey teams will be sponsored by state government of Odisha for the next five years. Odisha government is the new sponsor of Indian hockey teams. India hockey teams have got a new sponsor. 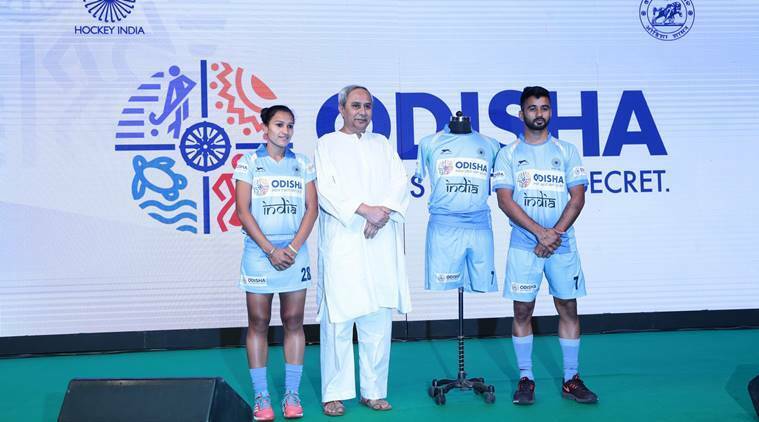 Both the men’s and women’s hockey team will be sponsored by state government of Odisha. The announcement was made by Odisha Chief Minister Naveen Patnaik in New Delhi on Thursday as the state governement has decided to support the team for a period of five years. “Hockey in Odisha is more than a sport, it’s a way of life, especially in our tribal regions where children learn to walk with hockey sticks. No wonder Odisha has produced India’s finest hockey talent. This is a first where a state government will not just be promoting a sport within its boundaries but will also support and nurture India hockey. This is Odisha’s gift to the nation,” Patnaik said. Now, the state has hosted a number of big hockey evers including the 2014 Champions Trophy and the Hockey World League Final 2017. This year, the capital of Odisha, Bhubaneshwar will host the World Cup in Novenber December. At the function, Batra said that Bhubaneshwar has emerged as the new sports capital of India. “I would request the Govt of Odisha to come up with a High Performance Centre for elite athletes. Like Delhi is the capital of India, Bombay the financial capital of the country, Bengaluru IT capital, for me Bhubaneswar is the sports capital of the country,” Batra said.